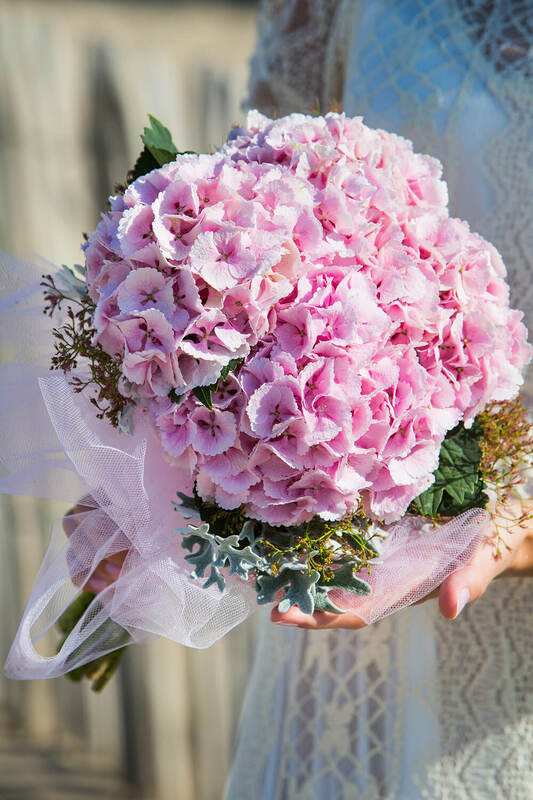 I’m in the mood for Hydrangea! She symbolizes grace, beauty and abundance. 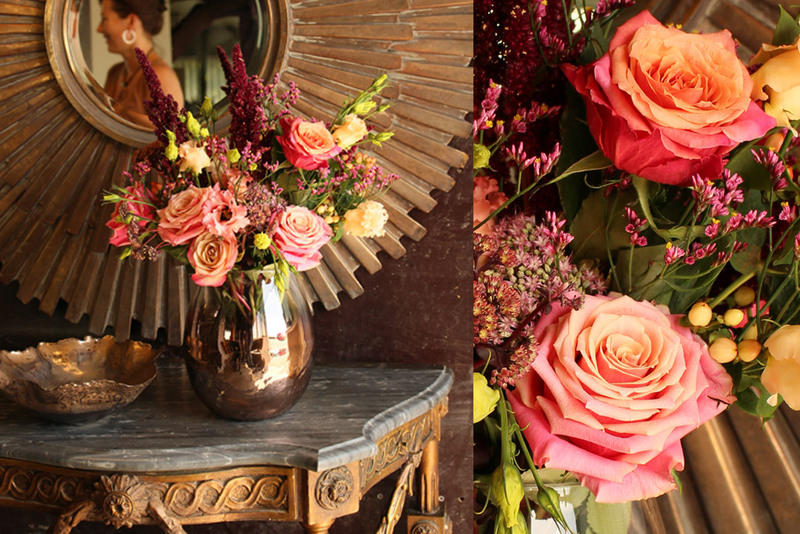 This because of the exuberant number of flowers and the generous dome form. The flower also symbolizes gratefulness and sincere feelings. In your Shop…. 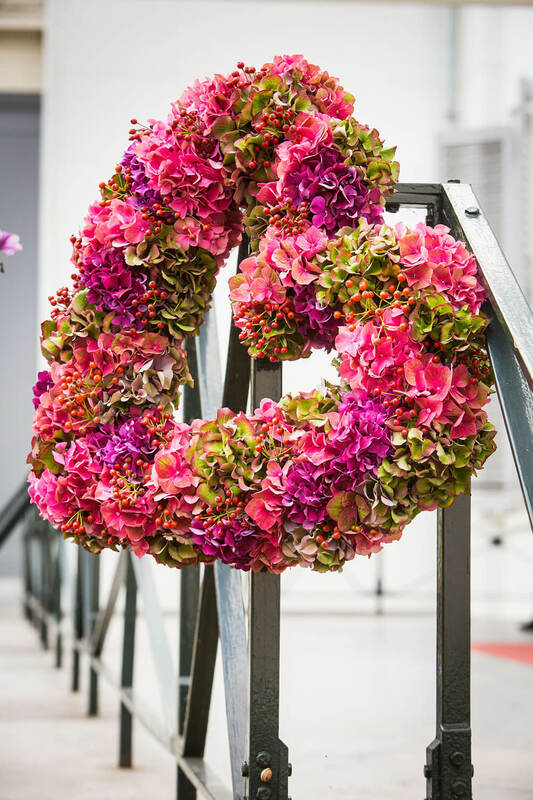 Hydrangea World – an initiative of all Dutch Hydrangea growers. Nutrients; Put the flowers in sufficient fresh cold water and always use cut flower food. 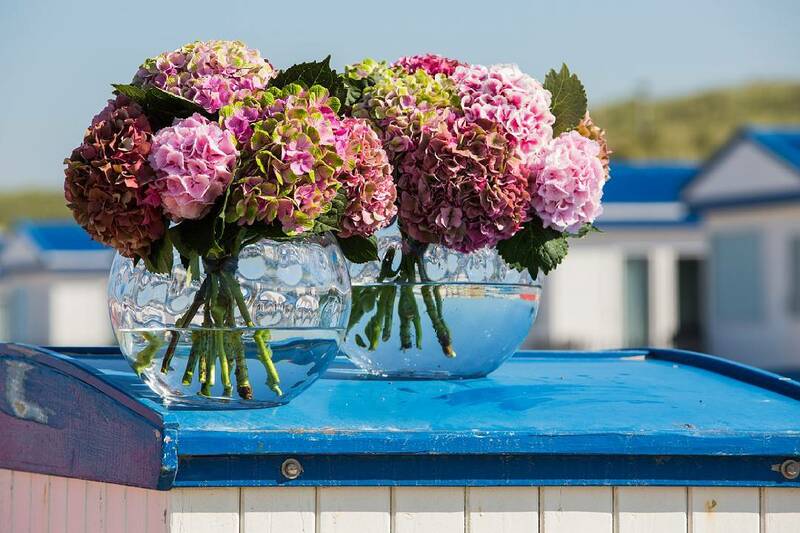 For fresh hydrangea this extends vase life for over a week. With this vase life will be 3 to 4 weeks. Therefore always supply your customer, at purchase, cut flower food. 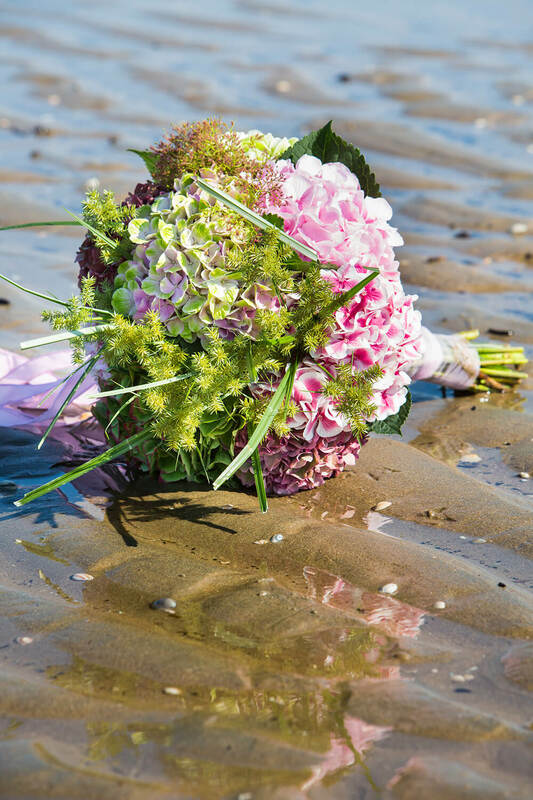 Floral foam; Hydrangea (preferably classics) can be stuck in floral foam, with enough water. Sufficient pre-watering is important here. 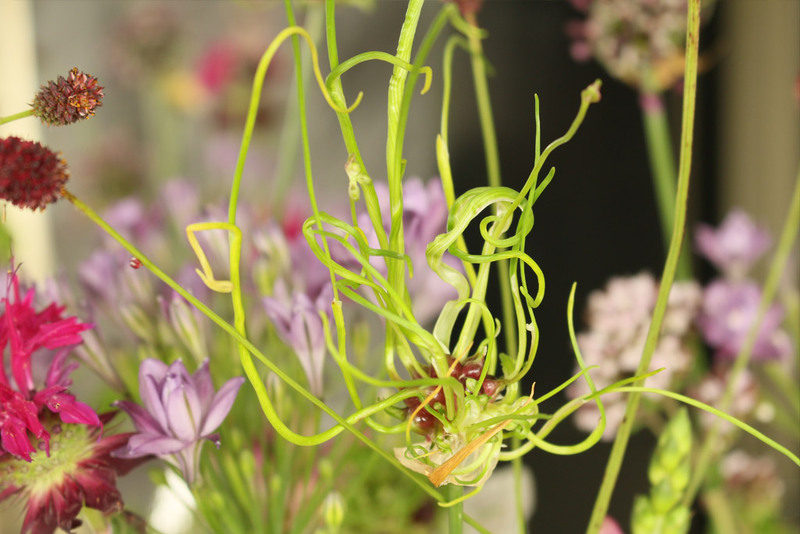 Cut off a piece of the stem with a clean and sharp knife or trimmer for better water absorption. 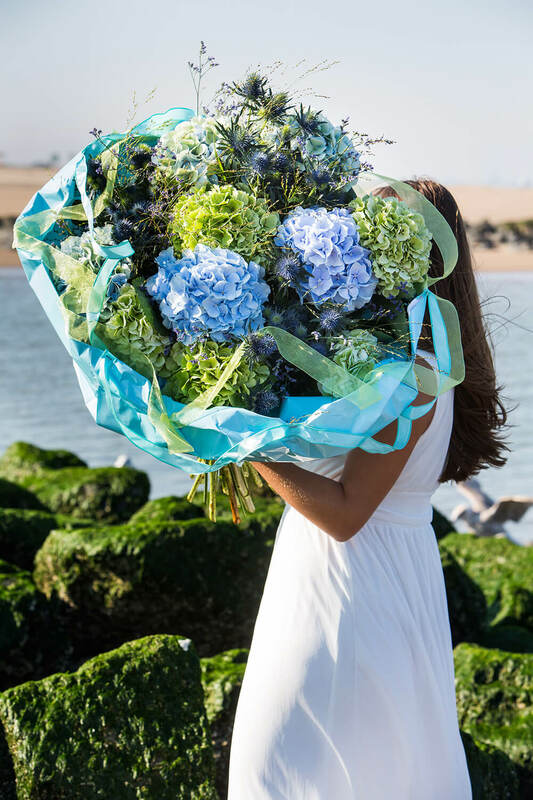 The stylish cut Hydrangea has long been discovered as part of a beautiful bouquet. It is often used in fabulous floral work. 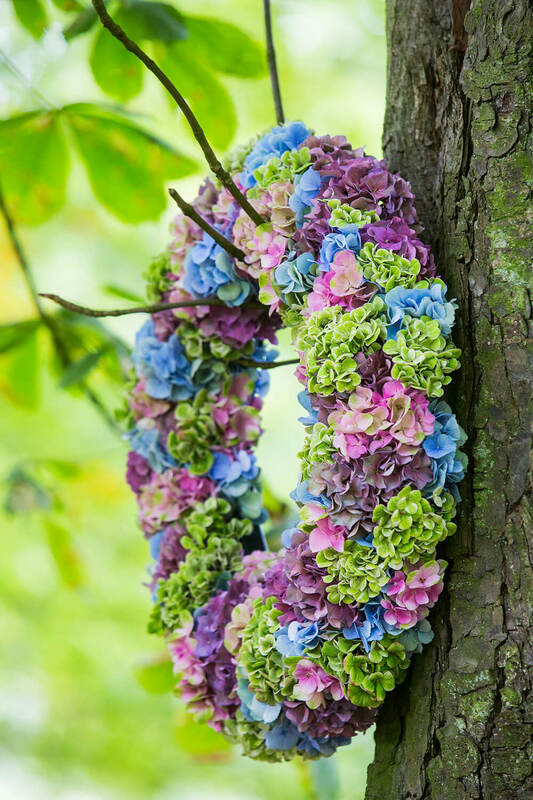 No wonder, since the use of Hydrangea always guarantees a splendid product. Every space is lit up when these colourful flower heads appear. They also make a wonderful gift: you are certainly not arriving empty handed! Or how about a single, decorative flower next to a plate on the dinner table?